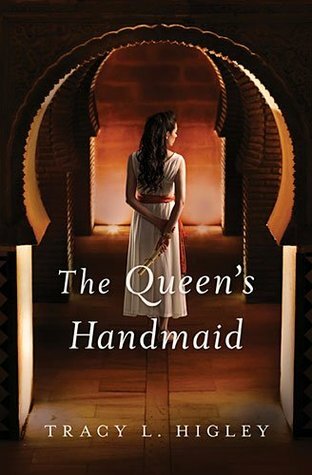 The Queen's Handmaid is a bit of an epic story. It takes place among a TON of historical characters and events. I love reading stories about this time period- especially about Cleopatra and Egypt. I have to say, this book had a bit of everything for me. It had history, a passionate forbidden romance, adventure and a touch of magic. Lydia is no wilting flower. She is brave and honest and everything a heroine should be. She is not willing to run from those who she perceives as doing an injustice (even when it seems to get her in trouble). This book spans a long time period, much more than most fiction novels. We really see Lydia grow and come into herself in the book. Although never really passive, Lydia grows confident and more steady throughout The Queen's Handmaid. Though they don't get much page time until the very end, the romance between Simon and Lydia is passionate and fiery. They are modest but man, the feelings in this book! I have to say, though I really liked Lydia's romance with Simon, I was swayed more by the relationships she developed within Herod's household even more. This is my first book by this author. Based on my assumptions of looking at her other books, this author writes historical romances in an ancient setting. I now have a TON of books to put on my "to be read" list. Excellent, excellent book!